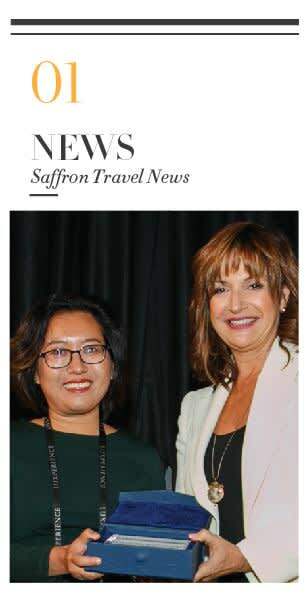 On behalf of everyone at Saffron Travel, I would like to thank all who came to meet us at the Luxperience trade show. 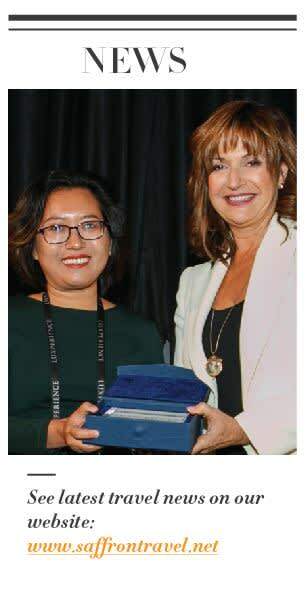 We were especially happy to win the ‘most inspiring’ award this year and it was such a great occasion to get together with so many people from around the world who share the same passion to provide travellers with unique and memorable journeys. 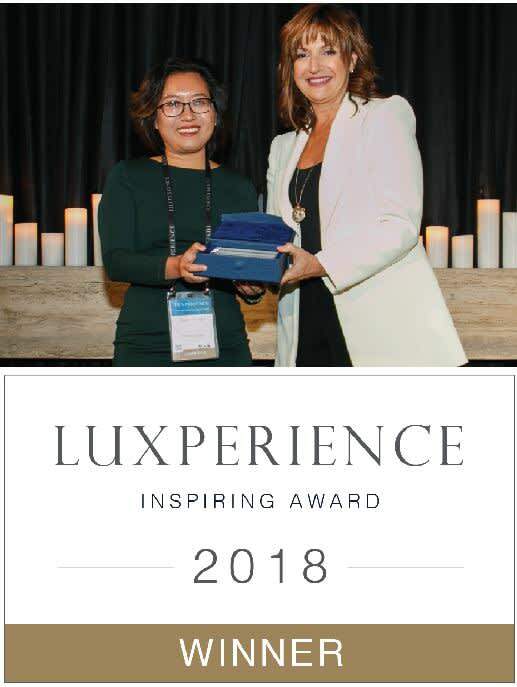 I wish you all huge success as you return from Luxperience Sydney 2018. 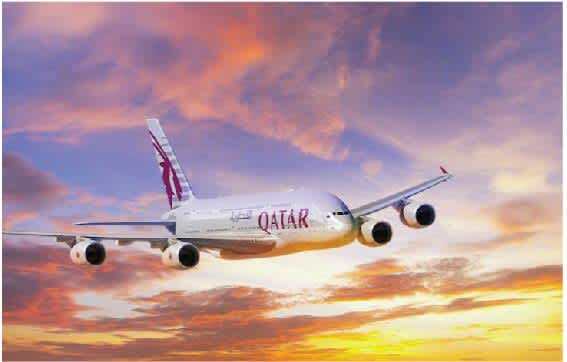 Qatar Airways will launch direct flights to Da Nang starting December 19. It will offer four flights per week operated by Boeing 787-8. The aircraft features 22 seats in Business Class and 232 seats in Economy Class. AirAsia will operate four flights weekly from Kuala Lumpur (Malaysia) to Phu Quoc Island (Vietnam) starting from November 2nd 2018. From 2019, Vietnam Airlines and Aeroflot will operate code-share flights on routes between Vietnam and Russia. Vietnam Airlines offers three direct flights per week between Hanoi and Moscow, on Boeing 787-9 Dreamliner aircraft. 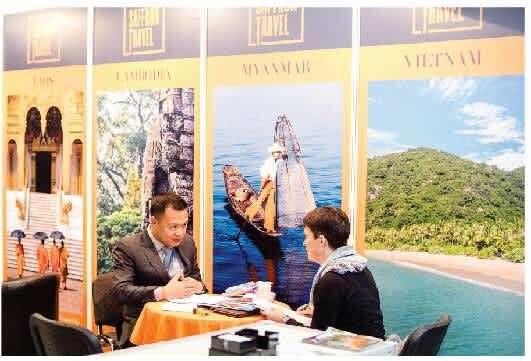 Aeroflot operates nine flights per week on routes between Moscow and Vietnam with a daily flight to Hanoi and a twice weekly service to Ho Chi Minh City. 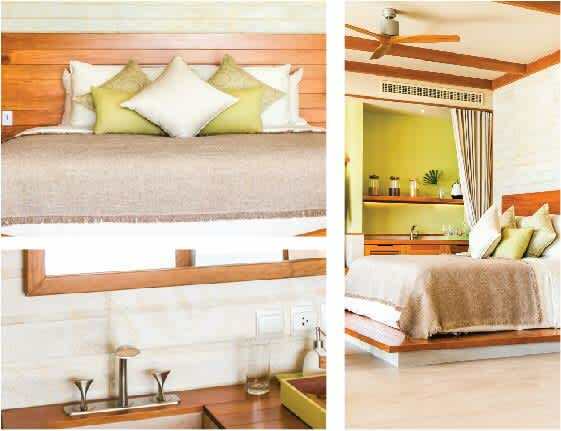 Fusion Resort Phu Quoc will offer 20% off between 1st November 2018 and 26th April 2019 for the following markets: the US, UK, Israel, and Australia. 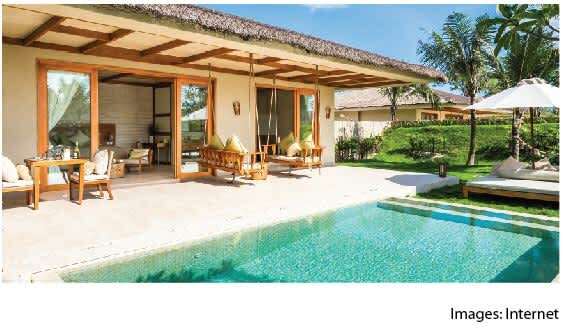 This 5-star resort features 97 rustic thatched villas hugging the ocean and the lush green banks of the neighboring river making it a great hideaway location in which to relax. South East Asia’s appeal is often characterized as a blend of local heritage combined with the historical influence of foreign countries. France, China, America, Britain and India have left significant cultural traces across the region. 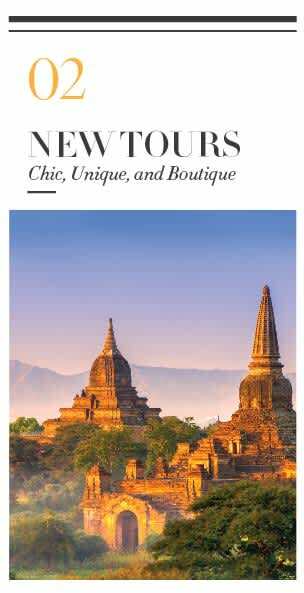 In this newsletter, Saffron Travel would like to introduce some new tour options that highlight the fusion of ancient and modern, local and international. Don’t forget to contact our team for personalized advice. 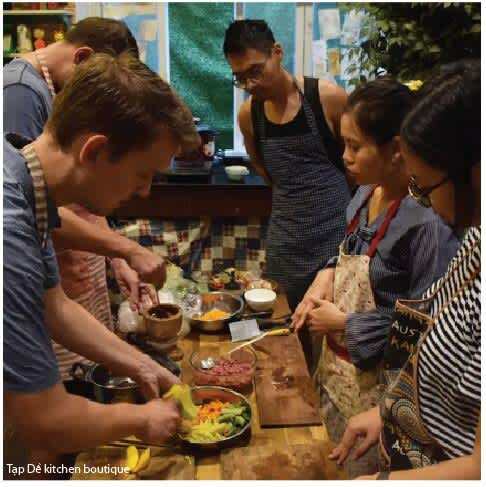 This lovely kitchen studio in the heart of Saigon is a wonderful setting for a private cooking class. The chef and owner of the kitchen is a food and lifestyle journalist and author who regularly appears on national television. She has a great passion for good food and healthy eating. The tour starts in a colourful wet market popular amongst locals with few tourists. 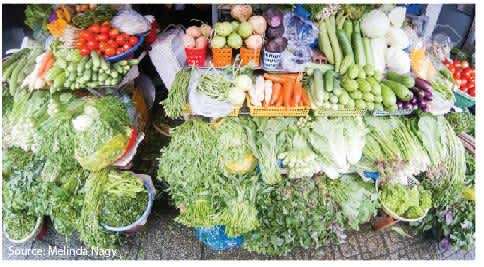 Here you will learn about the chef’s personal tips for choosing clean & fresh ingredients. The class in the studio feels like cooking in a local person’s home and the chic chef is a great raconteur so the conversation is often as tasty as the food! 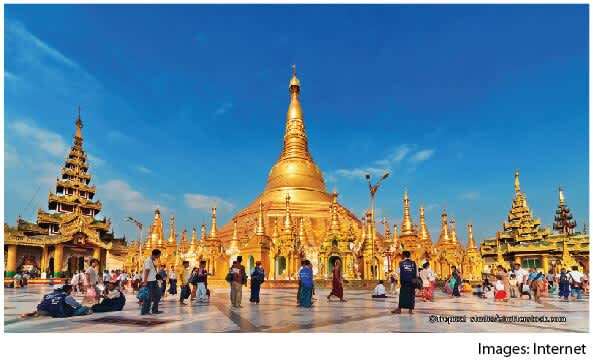 With temples, pagodas and stupas dating from the 9th century, the collection of 2229 monuments is considered to be one of the richest and most beautiful archaeological sites in Asia. 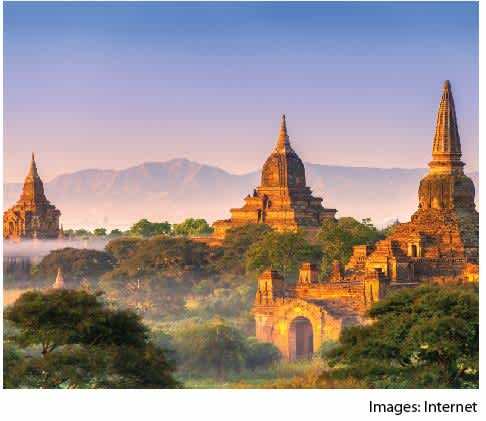 Saffron Travel can arrange unique talks by a local expert about the architecture, history, symbolism and the wider cultural influences of the different temples, pagodas, and stupas found in Bagan. Discovering hidden treasures makes every trip a more memorable one and South East Asia is blessed with plenty of small but stylish outlets; from boutique art galleries to sophisticated coffee shops. 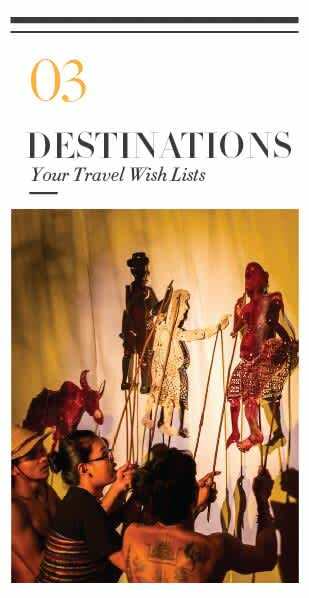 Here are some suggestions that Saffron Travel has carefully selected. Situated in the centre of Saigon, Moc Huong offers a variety of spa and massage services for you to choose from. After days discovering the city and surrounding areas and because Saigon is often the last stop before taking a flight back home, spa and massage therapies and treatments are a great way to close out a holiday. All are performed by specially trained therapists. 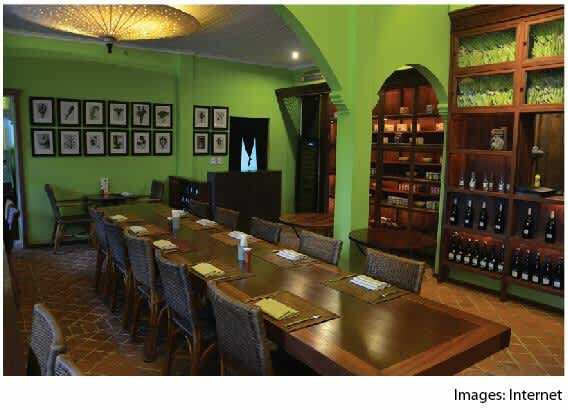 Padma de Fleur – A Flower Boutique Or A Restaurant? 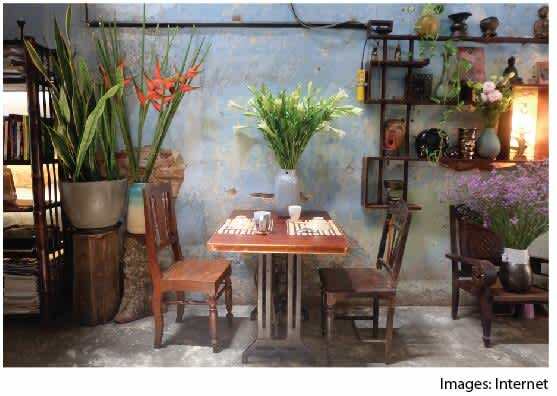 Padma de Fleur is part flower shop, part restaurant, but…they only serve lunch. The menu each day is ‘handpicked’ by its creative owner. A new menu, including six dishes, is created everyday. 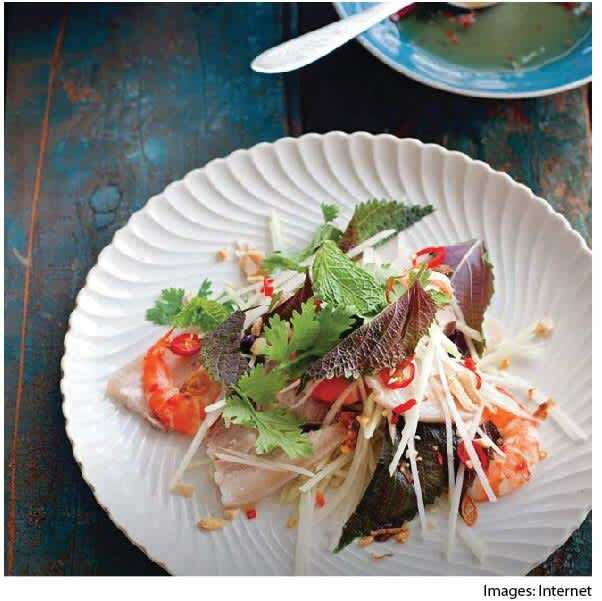 All are Vietnamese dishes with a “floral twist.” You may be able to speak to her when eating here and her English is excellent. Savour the creative way she decorates the shop and the food. Reservations recommended. 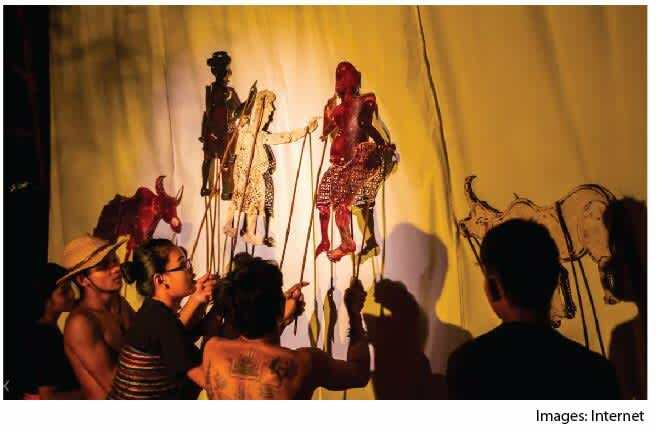 The Gallery displays fine art projects and collections of Cambodian artists and photographers across Asia. 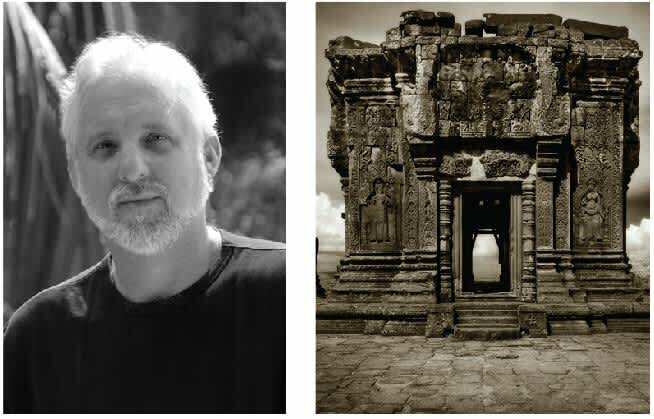 The gallery was founded by John McDermott, an American photographer inspired by the extraordinary architecture of ancient Khmer temples. Bambu fuses contemporary and Apsara dancing. The choreography of traditional Khmer dance is transformed into a modern expression combining pop music from the 60s and 70s. The show lasts for an hour with 2 short routines followed by the main dance “Swept Away” in which dancers enact their struggles to escape from their mundane jobs as menial workers and cleaners. The Strand is definitely a piece of history and travellers will taste luxury mixed with a touch of the colonial past. 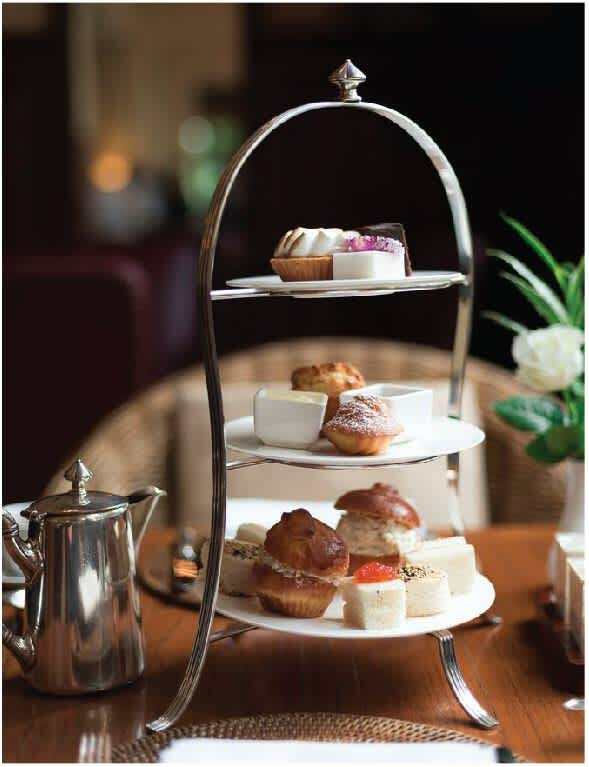 At The Strand, you can choose between a classic British high tea or a special Myanmar high tea…or both. The Burmese set is served in gorgeous lacquerware stacked boxes. A selection of Darjeeling, Earl Grey, English breakfast, Jasmine, Myanmar green or Shan state teas can be served together with the set. The high tea runs from 3pm to 6pm. 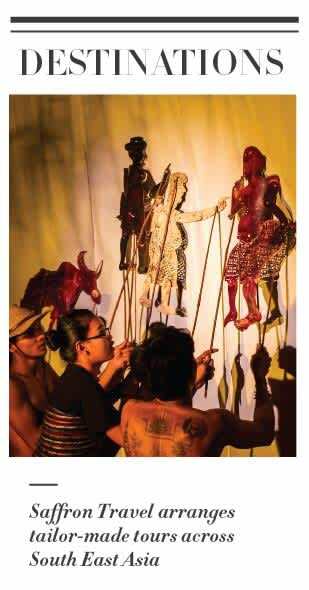 Don’t miss Yangon’s KZL Art Studio & Gallery. It is located in a hidden alley, 15-minutes drive from the downtown area. The gallery represents the work of established contemporary artists as well as new emerging artists. Profits from the gallery go to the Bamboo School (an Art and Education school in Kyaukamaw village Kyauk Tan) which provides non-profit programs for children in the surrounding villages. 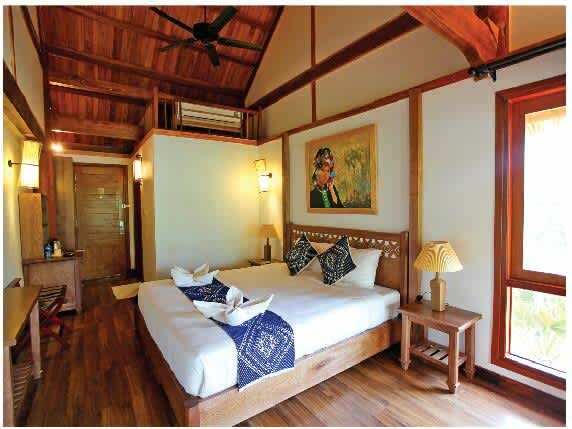 Mai Chau Hideaway is a newly opened ecological resort located on Hoa Binh Lake – Mai Chau, 2.5 hours from Hanoi. Off the beaten track, guests can enjoy the peace and tranquility of the beautiful natural surroundings. 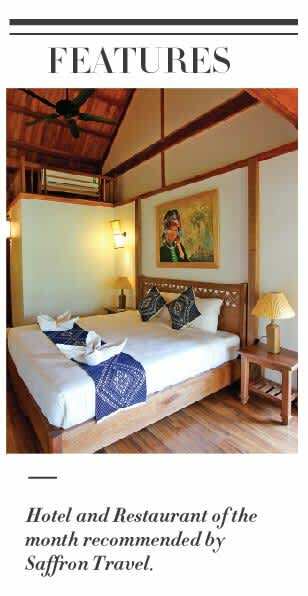 The resort’s rustic style and architecture is inspired by the stilt houses found in Mai Chau. There are 31 rooms & suites at the resort. All are eco-friendly with a lake or garden view. 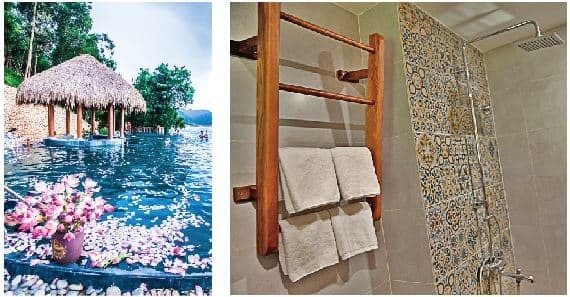 Guests can relax in the infinity pool beside Hoa Binh Lake built and decorated using natural stone. The restaurant serves local specialties and overlooks the lake and the garden creating a great space for open air dining. 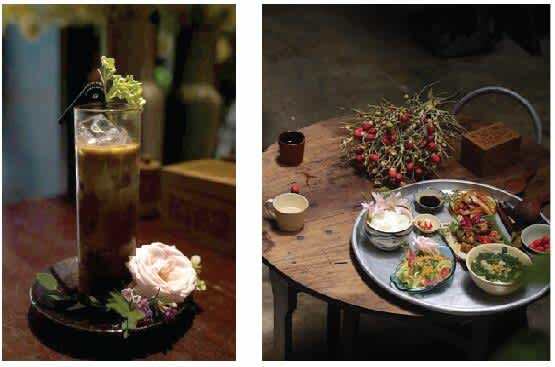 This wonderful restaurant is set in a 1960’s colonial building with a menu consisting of dishes made with local natural produce grown in their own gardens. Fresh herbs such as coriander, mint, ginger and lemon grass. Coconut milk, Luang Prabang mushrooms as well as ﬁsh from the Mekong River. 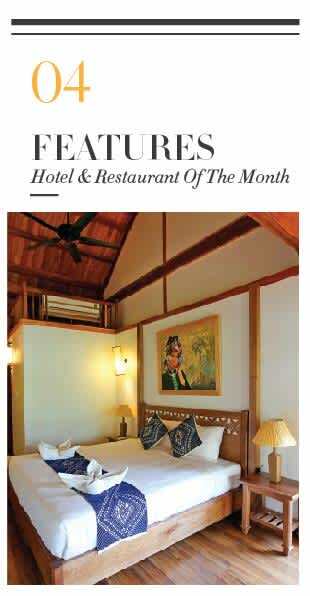 Guests also have a chance to enjoy a cuisine which mixes traditional French and local Laotian dishes. For example: lamb shank perfumed with Indochina cardammon, tarte Tatin with exotic fruits and duck breast roasted with “Mak Toum” via the Burgundy snails. 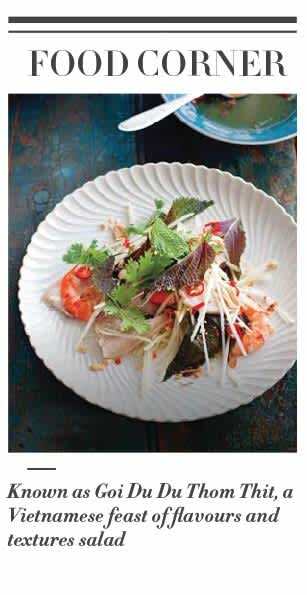 – Put the fish sauce, vinegar and sugar in a small saucepan with 125ml water. Place over medium heat, stir well and cook until just before boiling point is reached. Cool down and stir in the garlic, chilli and lime juice. 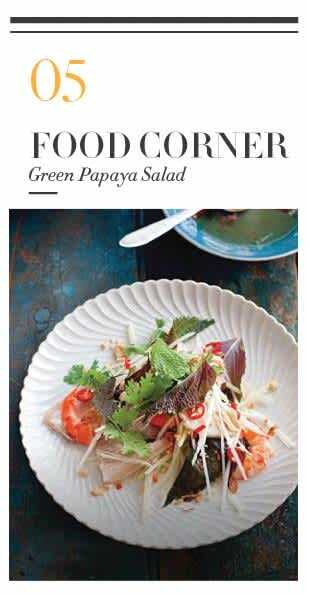 In a large bowl, combine the papaya, pork belly, prawns, sliced herbs and nuoc mam cham. Toss together well. Turn the salad out onto a serving platter. Garnish with the fried shallots, peanuts, garlic chips and chilli. Garnish with extra herb leaves if desired and serve.